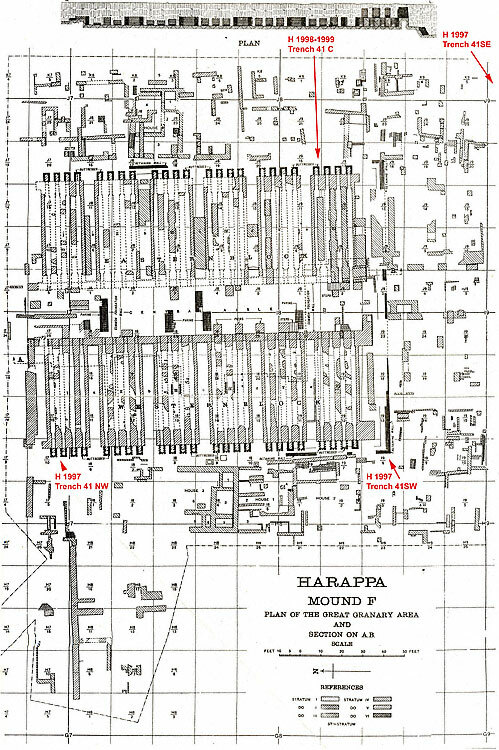 Plan view of the so-called "granary" or "parallel-wall structure" on Mound F at Harappa indicating areas of HARP excavations conducted in 1997 and 1999. Note that the structural remains surrounding the "granary" are, for the most part, later than the original "granary" structure. From M.S. Vats Excavations at Harappa (1940).